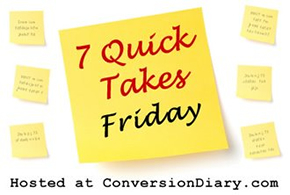 I’ve been really floundering on 7 Quick Takes lately, so this week I was determined to capture the funny moments as they happened. Ready? Sunday. Choir. During pre-Mass warmup Michael tripped over two–count ’em, two–microphone stands. “He’s really living up to his nickname today,” said one of our sopranos. But that was only his warmup. While I was conducting Grayson Warren Brown’s “God Be In My Head,” sung a cappella, at Communion–the beginning of Communion, while no one was yet going to Communion in our 850-seat, completely full church, so the impact was fully maximized–Michael helped himself to the sound board slide controls. No self-respecting Mayhem would pull them down, of course. Only up. All the way up. With a resulting roar in the speakers you’ll just have to imagine. I corrected the damage almost instantly, but as the roar subsided I heard the entire gathering chuckling. Not just those close by us, but the whole works. At Alex’s piano lesson this week, one of the teacher’s children was playing with Michael. Trying to amuse him, she put marbles in her eyes,then ears. He was staring at her with great concentration. Then one of the marbles fell out of her ear and down into her shirt. She kept trying to find it and eventually had to pull up her shirt from the waistband to get at it. Michael, relieved to find an action he felt capable of imitating, pulled up his shirt and stuck a marble on his belly button. And then looked perplexed that it wouldn’t stay put. This week one of Christian’s coworkers asked if Nicholas could participate in a promotional video the university was making. 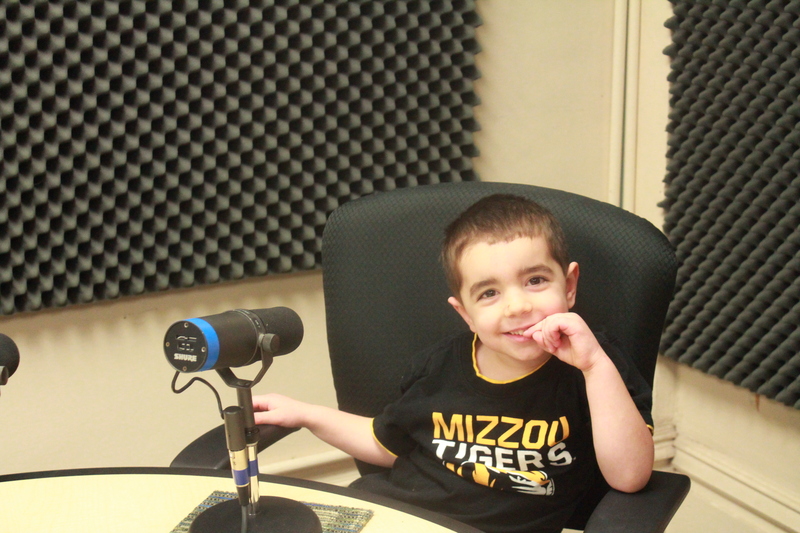 They needed his voice to record a couple of lines for it: “Mizzou is Truman!” and “Mizzou is where I want to go someday.” We had to go to the NPR station to record it. The NPR station is tucked under the dome of the same building where Daddy works, so the little boys got to visit Daddy at work, too. Exciting stuff. Nicholas couldn’t quite grasp it. “So they’re gonna take pictures of my voice?” he asked. 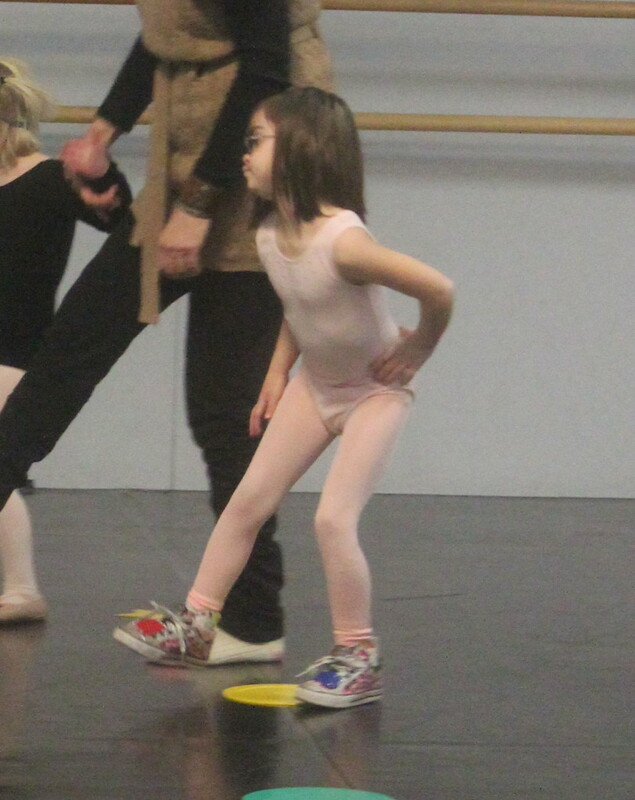 Julianna began adaptive dance class this week. A picture will suffice. It’s not very good; sorry, I was taking pictures from a distance and to get it trimmed enough not to include other children’s faces, I had to sacrifice quality. Anyway, you get the idea. 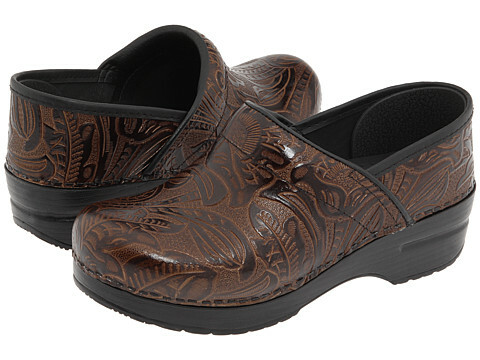 I finally took the plunge and bought a pair of Dansko clogs. I am in love. On a more sober note… Thursdays are a zoo in our house, with Nicholas going to half-day preschool and Alex having Scouts and various other activities after school, and my one regular flute student needing lessons on that day. So I set up with my student to have a lesson at school while we were waiting for Alex to finish with Cub Scouts. I’ll spare the extra complications (because there were a lot of them) and just say that we couldn’t leave for school until Julianna’s bus dropped her off. But the bus didn’t come, and didn’t come, and when it was half an hour late we weren’t going to get there in time to give the lesson before Alex finished with scouts. So I started making calls. The bus barn told me the bus left the school late; I called the student’s mother to ask what she wanted to do. By now she was getting ready to leave work to pick up her daughter. She suggested that she bring Alex home and we could have the lesson here. I said Great! Except you’re not on his pickup list, and they won’t let him go. Let’s see if we can get ahold of the scout master. Which she did…and at that moment, when she found the scout master at home, I discovered Alex did not have scouts at all. Thus began the worst ten minutes of my life. I called my cousin, who works in the parish office and lets Alex come over on Tuesdays until I can get there. I was hoping someone might have taken him there, but he wasn’t there. I completely fell apart. I told myself Alex knows his parents’ names, he knows his phone number, but mostly all I knew was that I didn’t know where my child was. And I couldn’t even go look for him because I was still waiting for Julianna’s bleepety-bleep bus! It turned out he had art club–not Cub Scouts–I was right to schedule the lesson up at school, I just had the wrong after-school activity in my head. But I was a mess when Julianna finally got home. She came over to me and snuggled against my chest for fully three or four minutes while I pulled myself back together. File that one under Moments I Hope I Never Repeat. That is terrifying when your kids are supposed to be one place and they’re in another. Even if the place they are is the place they were supposed to be in the first place…wow, that was convoluted. Hope Julianna is enjoying dance class! I have had two occasions where I had “heart-stopping” fear regarding a missing child (different child each time) and it is something I would not wish on any mother. I am so sorry you had to experience it this week. I totally get those crazy days – ours is Tuesday. I have a hard time remembering where and when I am supposed to be with one of my four kids, and Lord help me if an activity changes. Hugs! 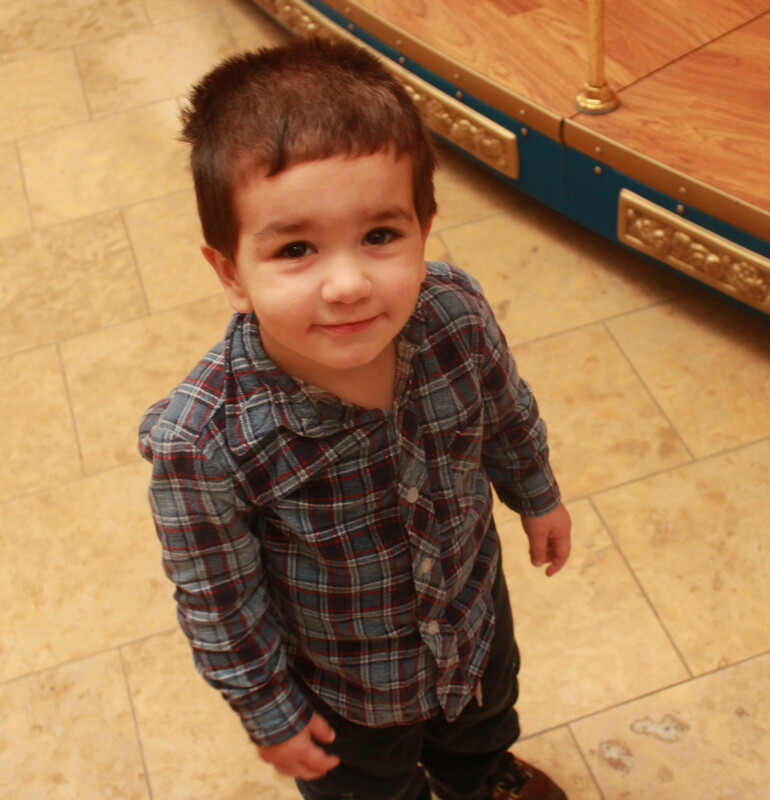 I have had two heart-stopping experiences with a missing child (each time a different child) and it is an experience I wish no mother had to experience. I am so sorry you had that horrible time yesterday. Tuesday is my day of the week that is crazy with four kids and activities. Lord help me if one of them changes and I forget about it. I might end up in a location I shouldn’t be at. Hugs! Tuesdays are pretty bad, too, in our house. I know just how you feel! I have had a couple of moments not knowing where a kid of mine is…very nerve-racking!! Michael sounds like Vincent sometimes. Oh boy. Tears came to my eyes picturing Julianna snuggling against your chest. Jesus loving you. Love the stories about your kids. Never a dull moment. Some day you’ll be really glad that you’ve blogged about all this, and so will they.